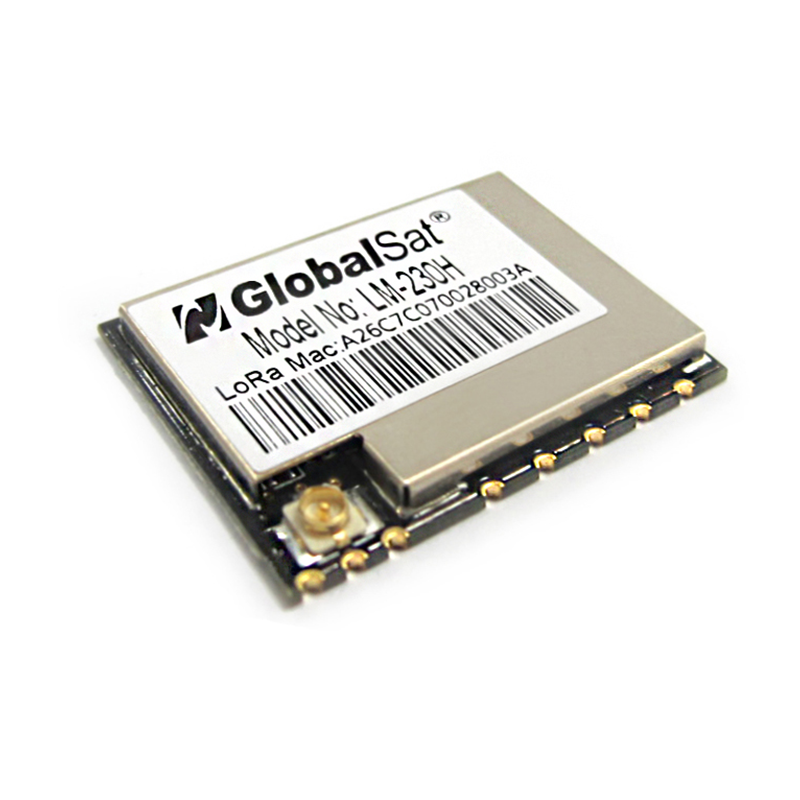 M.O.S.T RF Module for LoRa® Technology, LM-230H - GlobalSat WorldCom Corp.
LM-230 LoRa® wireless communication module is a member of GlobalSat M.O.S.T. product family. It is a low power-consuming and half-duplex module suitable for SMT production. LM-230 can wirelessly transmit data to long-distance. It has built-in high-speed, low power-consuming MCU and SX1276 modulation chipset. This chipset is applied with forward error correction technique which greatly improves interference immunity and advances sensitivity. The coding can detect errors and automatically filter out errors and false data. It supports various settings like baud rate, transmission power, and transmission speed, etc. LM-230 is suitable for long-distance transmission or use in harsh environments.